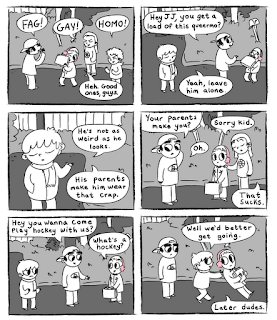 Jay Fuller is the creator of the Boy in the Pink Earmuffs a webcomic which was exhibited at this years C2E2 and Chicago Alternative Comics Expo. It centers on two young boys and their relationship as friends. In a way only comics can address it tackles heavy issues like childhood bullying, family acceptance, and young love while maintaining a charming and engaging art style. Jay was kind enough to give us some of his time via email to talk about his comic and issues of bullying. October is national bullying awareness month. We support the goal of making a world safer for nerd kind. a super sleuth posing as a web comic artist? Who is James Fuller? Much like the original, the Fright Night remake is getting a sequel -- sort of. A direct-to-video sequel of the remake is on the way, only this one will not star Colin Farrell or Anton Yelchin and will be a standalone movie. When the original Fright Night hit in 1985, fans of the Tom Holland film would not see a sequel until three years later in '88 when Fright Night Part II opened, reuniting its main cast members Roddy McDowall and William Ragsdale. 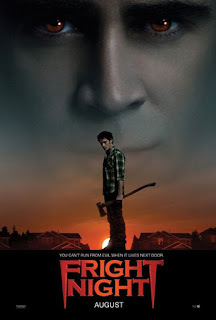 Now, it appears the 2011 Fright Night remake is spawning a sequel of its own, Fright Night 2, however, don't expect Colin Farrell and Anton Yelchin to make a return. ShockTillYouDrop.com pursued rumors that hit over the weekend that a follow-up was in the works and learned that Eduardo Rodriguez (Curandero, Fear Itself, Stash House) is in line to direct. 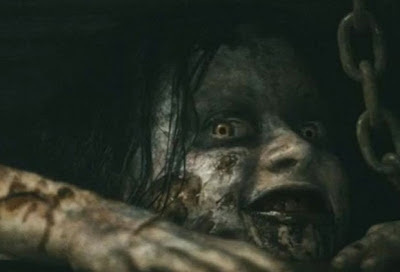 The official teaser trailer for the Evil Dead is finally here -- and OH MY GOD! 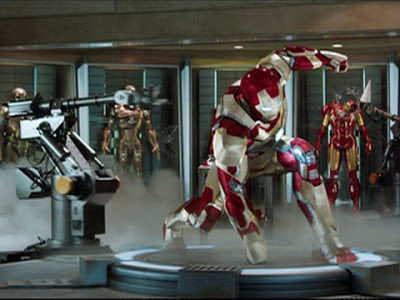 The highly anticipated teaser trailer for Iron Man 3 has been released -- and it hints at some major epicness that could be coming our way. Heroes will always have a target on their back. In honor of it being October and Halloween just around the corner, why not celebrate by counting down the 10 deadliest modern horror villains of all time. Special thanks to BuyCostumes.com for creating this infographic. 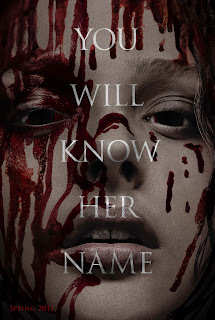 The teaser poster for the Carrie remake has finally hit the net. It's actually very similar to the fan made one posted a few months ago (coincidence, or laziness by the studio?). Looks for the trailer soon. The film hits theaters March 15, 2013. 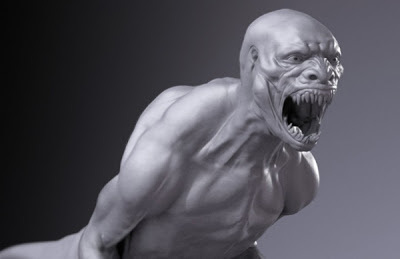 Concept art for one of the original ideas for Jurassic Park 4 has it the Internet thanks to Badass Digest. Keep in mind, this idea, which involved gun-toting dinos, has been scrapped for a new (classic) idea. Years ago John Sayles wrote a script for Jurassic Park IV that featured genetically engineered human-dinosaur hybrids that were super smart gun-toting mercenaries. 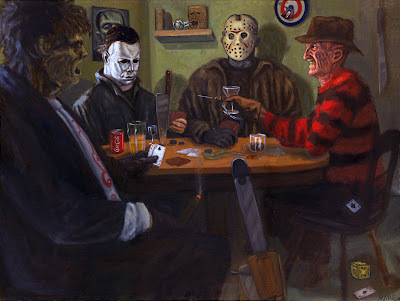 It was, to put it mildly, a brazen and bonkers idea for a sequel to the franchise, and the script was eventually reviewed on Ain't It Cool and the project shitcanned after the internet crapped its shorts in horror. It's 'A Good Day To Die Hard' And The Trailer Is Here! 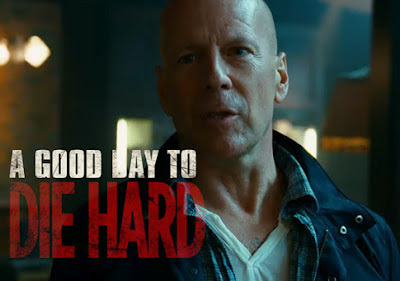 The official trailer for A Good Day to Die Hard (the fifth Die Hard flick) has been released. Check it out below to see what John McClane has been up to. The homes of people who are incredibly talented are always fascinating to the general public, as the places they live and see on a daily basis often reflect who they are and what inspires them. 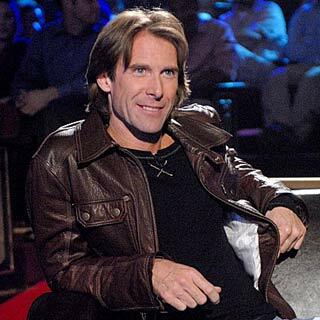 There have even been a number of successful television shows over the years that follow celebrities inside their classy (or ridiculous) cribs to see how they live, in both luxury and style. For director Michael Bay, the highest paid filmmaker in the world, his swank home(s) show off his astute sense of style and décor. All of these things are reflected in his films as well, so it makes sense that these traits would follow him home.